Wixen Music Publishing says Spotify didn't secure the rights to the musical compositions of more than 10,000 of its artists' songs. Spotify has another copyright lawsuit to add to its pile — it's now being sued by a major music publisher for at least $1.6 billion. Wixen Music Publishing handles copyright management and royalty compliance for artists like Tom Petty, Missy Elliott, The Beach Boys and Journey. Wixen's lawsuit alleges Spotify is using more than 10,000 of its artists' songs, including Petty's "Free Fallin'," "without a license and without compensation." The U.S. Copyright Act says there are two separate copyrights for every recorded song. One is for the sound recording, and the other is for the musical composition, aka the song lyrics and musical notation. 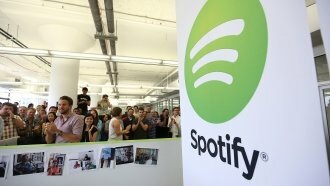 Wixen says Spotify "took a shortcut" by working with major record labels to get the rights to the sound recordings but not securing the equivalent rights to the musical compositions. This lawsuit is in response to the $43.4 million settlement the music streaming service proposed in 2017 to compensate songwriters who said Spotify was using their compositions without paying the correct royalties. Wixen says that settlement "does not adequately compensate" the company or its clients. Instead, it's seeking damages of $150,000 for each of its 10,784 songs it says Spotify is using.